As a child, I adored Ripley’s “Believe It or Not” publications – comic books, paperbacks, a wax museum in Niagara Falls NY…anything that had the Ripley name on it, I was there. For me, Ripley’s cartoons began a lifelong fascination with and respect for the odd and unusual. When I stumbled upon A Curious Man, I was intrigued as I’d never really given much thought to the man behind the myth. Unfortunately, as is usually the case, the man fails to live up to the myth. Neal Thompson has produced a detailed if unimaginative biography of LeRoy Robert Ripley – cartoonist, world-traveler, athlete, and all around dog who made his fortune and reputation by collecting and drawing oddities from around the world. We first meet Roy Ripley, the awkward child traumatized by a pronounced overbite and a mouth too small for all his teeth. Despite Thompson’s constant reminders about Ripleys’ teeth, an early photo of Ripley depicts a mischievous, impish urchin sporting a wide grin. This picture made me think of Tom Sawyer and the type of mischief-making boys so well-described in Twain’s work. Thompson, however, was working with a real boy rather than a fictional one, and described the young Ripley warts and all. Despite Ripley’s hound-dog lifestyle, Thompson does manage to convey Ripley’s concern for the people he met during his world travels. The hunger and poverty he witnessed in Asia “haunted” him. In his own way, Ripley used his cartooning as a way to bring awareness of other cultures and countries to Americans. 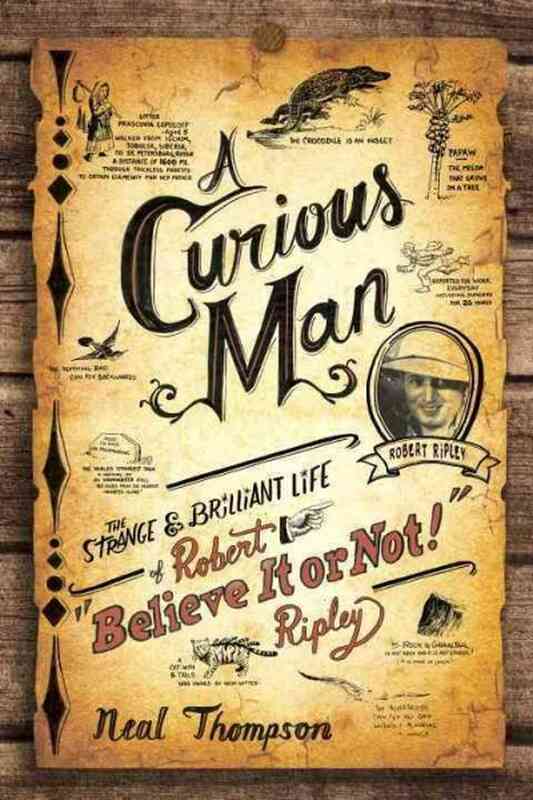 Ripley was a complicated man, and writing about his crazy life was surely a monumental task. I really wanted to like this biography of a man whose work has played such a role in my life as a reader, but I found my attention wandering constantly, and getting through the book was a chore. The author could have easily edited out several chapters and had a better, more compact biography; however, shortening the content probably wouldn’t make me like Ripley any better.